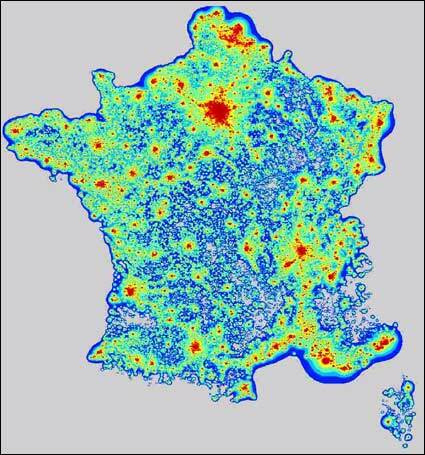 France and fight against the Light Pollution. Following a meeting named “Grenelle of the Environment,” in France an law is discussed by the French Parliament. Definitive adoption in 2009! Text of the article 36 being part of the chapter: “Prevention of risks for environment and health”. Well before this awakening, an lot of municipalities at the request and of Association Nationale pour la Protection du Ciel et de l’Environnement Nocturne (ANPCEN) and local Astronomical clubs sign a plan for Sky and night Environment protection. In addition, David PORTSMOUTH of ANPCEN and elected official of ORGEVAL near Paris took measures to limit the consumption and illumination of lighting. An agency, The ADEME, (French Environment and Energy Management Agency) made some studies on public lighting consumption and costs of the of the municipalities. She advises programs known as: High Environmental quality. Modelling and Measurements of quality of the Sky. A few years ago, of the studies and modellings were made. Michel BONAVITACOLA made the first modelling with software named THOT. They are available on the site of ANPCEN. With Laurent CORP they make a first study of quality of the Sky in 2000 “ATLAS” 1997. Frederic TAPISSIER also made simulations with another protocol. Michel BONAVITACOLA prepares a National Congress on Light Pollution and new project of measurements of quality of the Sky in 2009: the “Sentinel” project which will make continuation and supplement the project “Constellation Earth.” The article “Constellation Earth” is been published in the US review HORIZON. 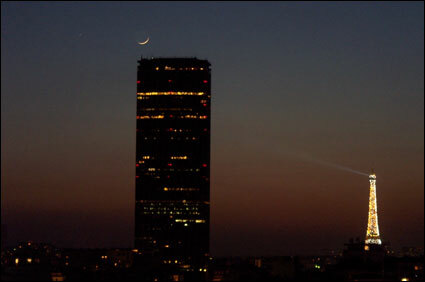 These measurements are essential to follow the application of the French law against Light Pollution. MICHEL BONAVITACOLA has accomplish lot of studies with Law and Environment students on the juridical protection of the celestial landscape, impacts of the light on the biotopes and studied the national parks as Reserve of Dark Sky. 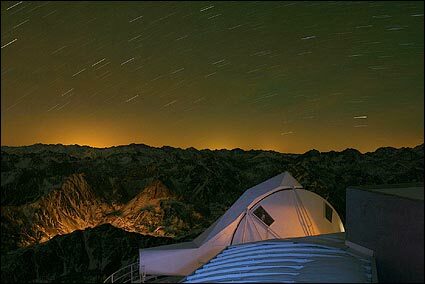 To finish, an association was created for the management of the Project of International Reserve of Dark Sky around the PIC du MIDI Observatory. Michel BONAVITACOLA, François COLAS and Alain LE GUE, author of this article, are a part of it. The association Internet site is under construction.